If you are looking for a top notch process server in El Paso, then Professional Civil Process has you covered. Our systems and professional staff have the experience necessary to move your papers through the entire “service of process”. Our process servers in El Paso are professionally trained and will serve your papers with professionalism the first time. Send us your papers today by requesting a quote or mailing them to the office. If you need personal attention with your papers then our fully staffed customer service department is here to serve you. Our local process servers in El Paso are second to none, which is why law firms, credit management firms as well as individuals from all over Texas request Professional Civil Process. 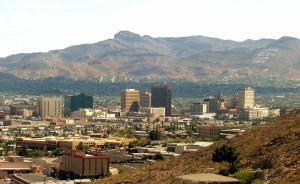 For high quality process servers in El Paso, Professional Civil Process is your destination. Give us a call at 1-866- PROCESS (776-2377).